As soon as I stepped out of Amsterdam Central station from the airport, I saw what makes Amsterdam different from other cities I’ve visited…no, not the canals (Venice has canals! ); it was the bikes. Seeing everyone flitting around on two wheels immediately struck me as a unique piece of culture. I’m not sure why, but I love cities with strong cultural ties to a mode of transportation. 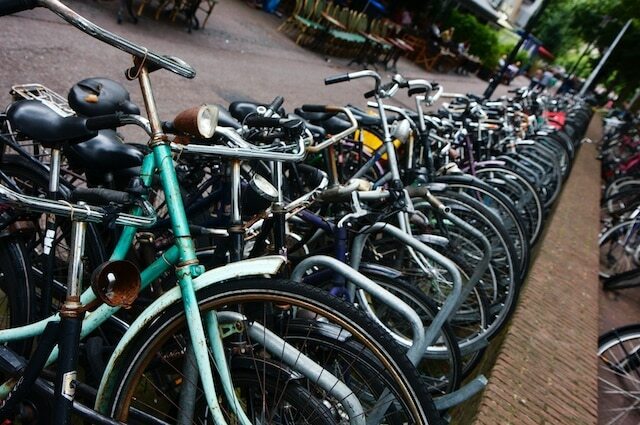 Vietnam and motorbikes, NYC and the subway, Nepal and buses, Monogolia and Jeeps, Delhi and autorickshaws, Philippines and Jeepneys, and now…Netherlands and bikes. The moment I set foot in Amsterdam, I knew I would be exploring the city by two wheels. The first day I went and rented a bike for a week making me the happiest tourist ever; wandering around the canals and down the rivers, out into the non-touristsy areas where little English was spoken, riding into the countryside, and even going bar hopping with locals.